When it comes to looking after the garden, many people leave it for months and months, before attacking it with one dramatic garden clean up before the summer, or before a special occasion. 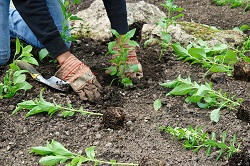 However, this is an extremely arduous, time consuming and painstaking method of garden maintenance and we can provide you with a much easier solution. With a weekly, biweekly, monthly or quarterly appointment with our friendly, professional and reliable gardening team you’ll have your garden look at its’ very best 24 hours a day 7 days a week. Simply call our London gardening professionals on 020 8434 7256 to discuss the sort of requirements that you will be needing and we will be only too happy to sort out an arrangement that keeps everybody happy. You’ll be simply amazed at the speed at which our garden maintenance service can work, and in just an hour of strimming, hedge trimming and pruning, lawn mowing, planting, weeding, garden spraying and leaf clearance you’ll find that your garden will be looking pristine. Since we have accrued years of experience in the trade we have all of the tips and tricks at our disposal to save time without cutting corners. What’s more, we pride ourselves on being an extremely friendly and hospitable team of gardening experts so we hope to build a great rapport with all of our customers and clients. We’ve seen everything that there is to see so we know exactly what to do to revolutionise your garden, so make sure you get in touch with London Gardeners today to look after your garden clean up. Our reliable gardening team can also offer you latest and most attractive landscaping designs to make the most of the space that you have at your disposal. It really doesn’t matter if you’re the owner of a small yard or huge mansion grounds, you will be much more comfortable with your outdoor space when you call our garden maintenance services. Whether you need complicated landscaping and hedge trimming and pruning work or you simply need somebody to come and complete your grass cutting- no job is too big or too small. Look no further than our gardening experts to revolutionise your outdoor spaces and you can enjoy hosting your guests throughout the summer. One major advantage of our fantastic garden maintenance service is that you can throw social events, barbecues or parties at short notice because your garden will always be looking fantastic. We’ll do everything and even turn over the borders. 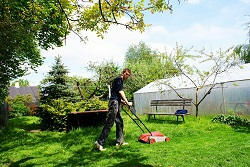 Some of our customers simply need reliable gardeners to mow the lawn for their elderly parents. We can set you up with a regular appointment or we can come for a one off blitz garden clean up. Our uniformed, professional and experienced team will always arrive on time ready to get stuck into the working day and we are happy to undertake any tasks from garden waste removal to planting, lawn care or garden design. At London Gardeners we always pledge to offer to very best customer service for all of our garden lawn maintenance work, so if you’re looking for reliable gardeners to undertake any work in your garden with a friendly and professional attitude then simply call 020 8434 7256 today for the most experienced gardeners in the area. There is a reason why we’ve developed a reputation for being the number one gardening services London and that is because we follow through with our promises, complete work on time and offer fantastic value for money.